Thank you to our clients who’ve honored us by offering a testimonial. 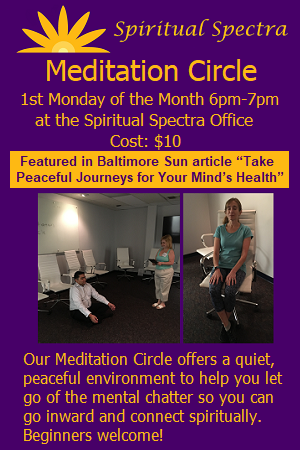 “My appointment yesterday was with Jennifer Garcia the owner of Spiritual Spectra. When I called for an appointment the day before she returned my call right away and answered all of my questions without hesitation or frustration. Before we got off the phone she asked if I was paying with cash or credit so this is something you want to be aware of when you call. The office is located inside of Nourishing Journey which is now another place I’d like to try out. Jennifer was a few minutes late but she did text me to let me know she was on the way. Jennifer was friendly and inviting. She consulted me first about my history and life. I had an energetic healing session with her which is really like a Reiki session with her spiritual guides. At the end of the session, I felt better. I am clear where I was unclear about certain things in my life. She had good news and bad, “Your chakras are open but you have no aura.” Which means no protection! I received recommendation from her on how to improve my aura and keep up the good work on my chakras.